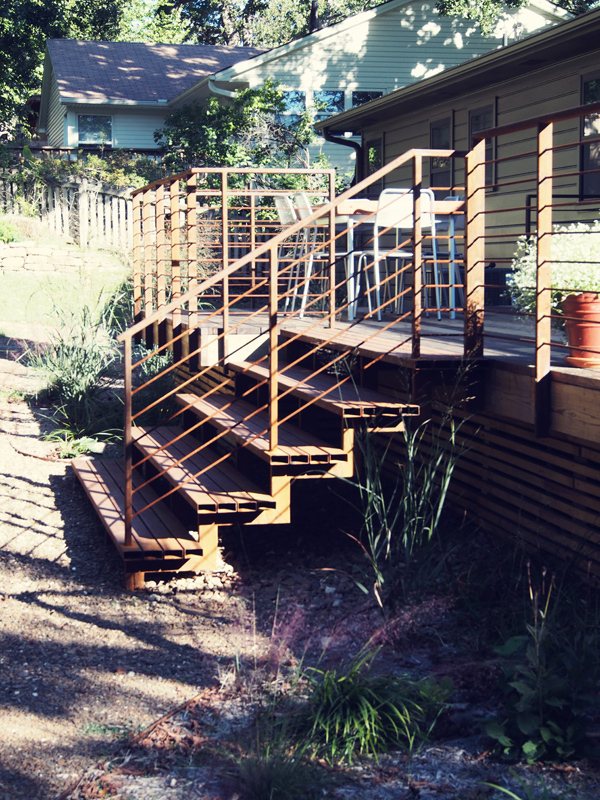 This 2013 residential landscape design/build project features a deck built with repurposed redwood, custom steel railings, steps and ramp. Other site improvements designed and built by Fulbright include a steel fire pit, native stonewalls, crushed stone walkways and patio, custom dining table, bio-swale (rain garden) and wooden scrim. The next phase in the project calls for native plantings and a playful water catchment system.